Thank you for your interest in our Early Learning Program. 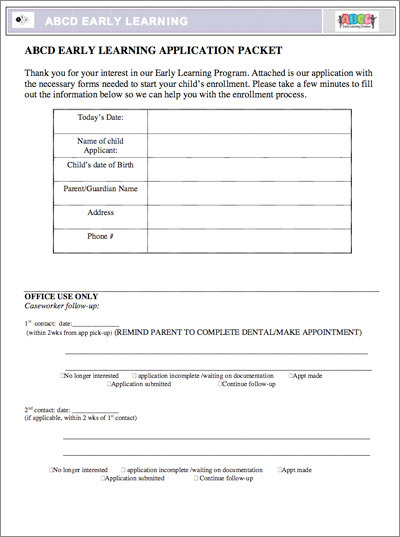 Below is the link to our application with the necessary forms needed to start your child's enrollment. Please take a few minutes to fill out the information so we can help you with the enrollment process.